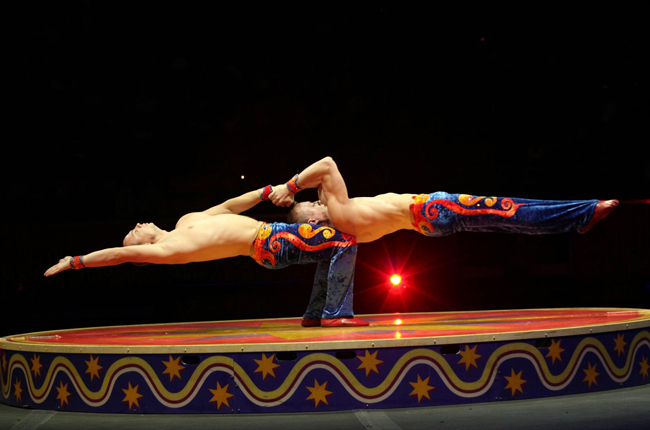 Hand balancing, is the art of performing acrobatic maneuvers while supported wholly by your hands or arms. 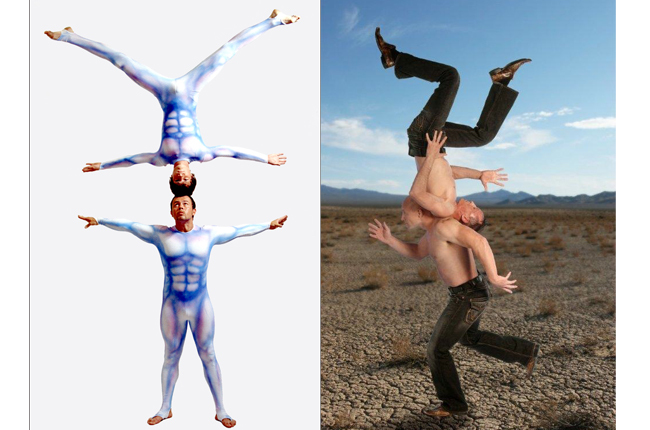 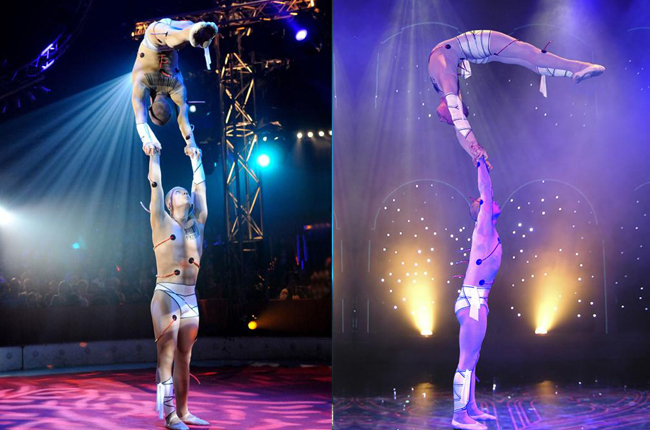 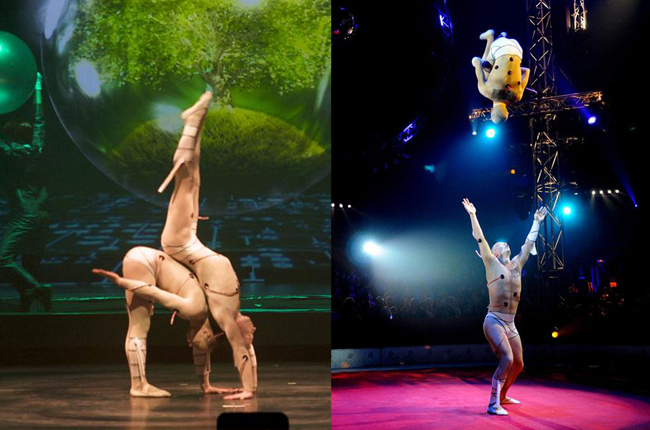 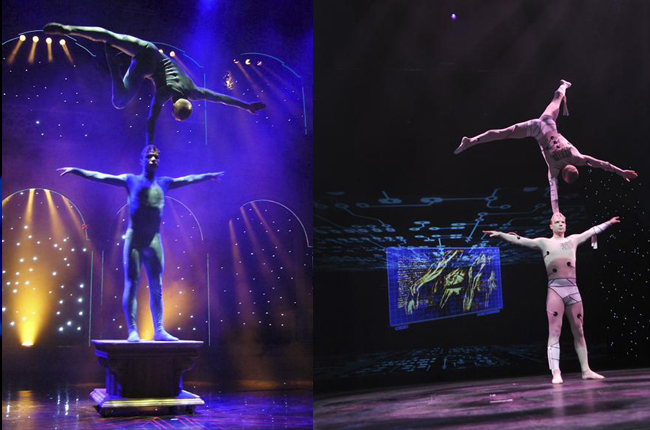 It is performed by acro dancers, circus performers, gymnasts, and sports acrobats. 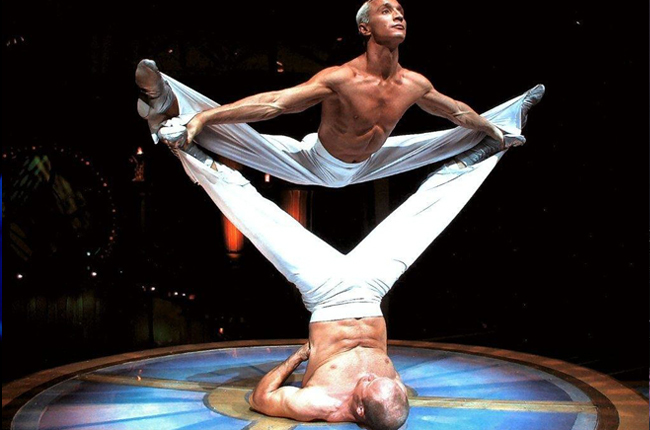 Hand balancing may be performed by partners or individuals. 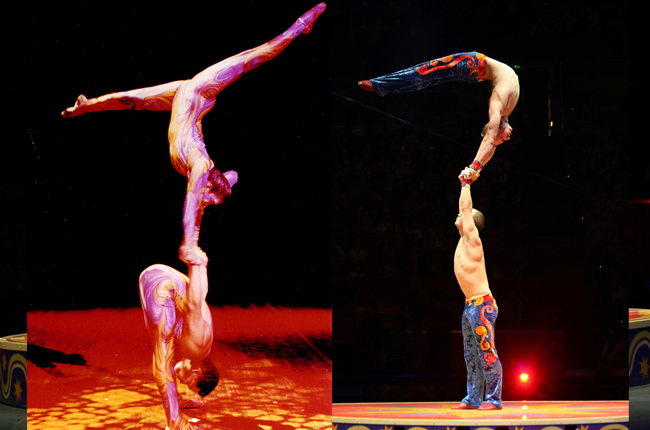 In partner hand balancing, a strong bottom mounter supports the top mounter in handstands, planches and other acrobatic poses. 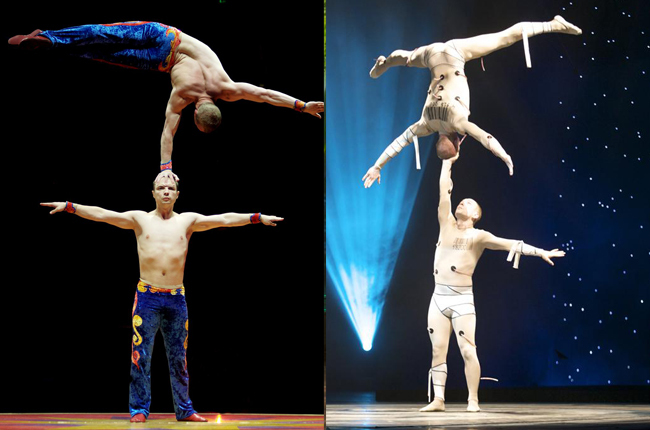 In solo hand balancing, a single artist performs handstands, one-hand stands, planches and other equilibristic maneuvers, usually on top of pommels, blocks or other apparatuses.